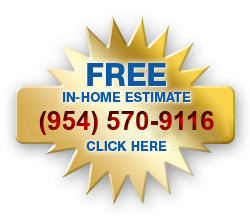 "Our floors looked so bad that I was sure we needed to replace them. I called Alexander's Wood Floors for an estimate and Scott suggested trying to refinish instead of replace our floors. Being on a tight budget, I was happy to try. The result is that our floors are almost like brand new and I was able to save a great deal of money. I cannot believe what they were able to accomplish. As far as I'm concerned, Alexander's Wood Floors are the experts in the wood floor refinishing field. Customer service and integrity are also second to none." "We've had our floors refinished once before, but Scott promised us that his equipment, materials, and techniques are of the highest quality and the results will speak for themselves. Well I must say Scott, you were absolutely correct!! The floors look amazing and I'll certianly be calling on your services again in the future. Thank you so much for the excellent results!" "I bought a wood floor from Alexander's seven years ago. They did a good then so I called them for a refinishing quote. The price was fair and the results were outstanding. It is a pleasure to work with a company based on honesty and passion for their work. This is a family run business that treats its customer's houses like their own."